123eHost recognizes that downtime is not an option for your web site. For this reason, we invest heavily in hardware, facilities, and man-power to ensure that our clients are up and running on the web 24 hours a day, 7 days a week. Our servers are custom designed by our experienced in-house technicians, using only the latest top quality name brand parts. We also keep spare parts in our inventory, just in case the unexpected happens. The data centers, where the servers are physically located, are literally isolated from access except from the network operators. This is enforced with passcards and hand scanners and is done to ensure the security of the servers. Our servers are equipped with redundant UPS systems (Uninterruptable Power Supply). In the event of a long-term power outage, the on-site diesel generator kicks in. This is done to ensure that power is fed to the servers at all times, no matter what. Our tidy data centers are equipped with redundant HVAC systems (Heating Ventilation Air Conditioning). They are also equipped with an advanced fire supression system. 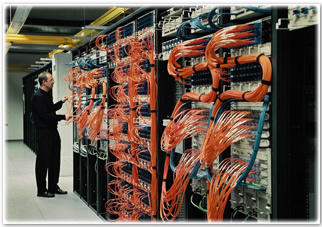 These systems are in place to ensure an ideal and dust free environment for the servers. 123eHost’ connectivity is provided by multiple, hand-picked Tier 1 carriers, and it offers multiple, redundant direct connections. 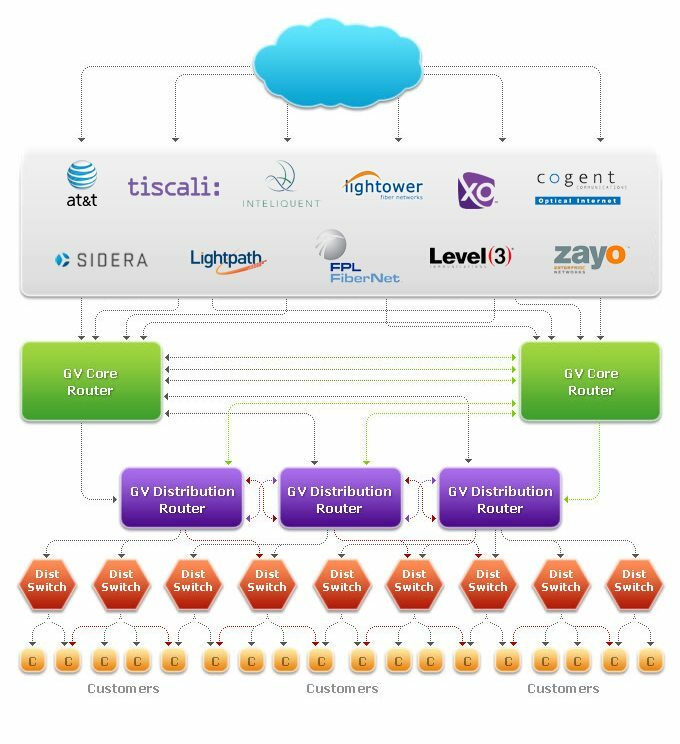 This enables our traffic to bypass slower Internet service providers and take the shortest possible path between the GV data center and your users around the world. Our architecture features low latency, lightning-fast speeds and top-notch reliability that you will not find anywhere else. 123eHost will provide you with the tools, bandwidth and stability that you require for your mission-critical applications. From its redundant core, 123eHost supplies two diverse network connections from two separate core switches. While only one connection is used to route traffic, the second connection is a hot-standby circuit ready to route traffic in the event of a problem. The transfer to the hot-standby circuit happens instantly without any impact to the network or customers. At 123eHost, there is no such thing as “peak” hours or spikes in traffic. There will always be excess bandwidth available. As for the servers themselves, only 1/7 of their capacity is actually used in order to ensure speed and optimal performance.